As children, the world fills us with awe and wonder. The environment has a huge impact on children, because of our constant interaction with it. That’s why sustainable practices are an essential element of early learning centres and education programs. As we move through the 21st century, we’re more aware of the impact our decisions have on future generations. Climate change, resource shortages and our throwaway mindset make nurturing a love for nature and the environment an obligation. What do we mean by sustainable practices? Sustainable practices are those activities which meet the needs of the present without harming the environment or infringing on the needs of future generations. It’s about living within the means of the natural environment to support life. The environment is a critical element of a childcare centre. It impacts all seven areas of the National Quality Standards (NQS). It also contributes to each of the five learning outcomes of the Early Years Learning Framework (EYLF). The NQS directs us to teach children environmental sustainability by showing them how to be sustainable and explaining why it’s important. How does Petit ELJ approach environmental sustainability? At Petit Early Learning Journey, our values seek to create hope and wonder in our children by encouraging awareness and respect for the natural environment. Our goal is to pass on to future generations an environmental duty of care and a love for nature and the environment. It begins with the design of our centres to support sustainable practices through naturalistic playscapes. 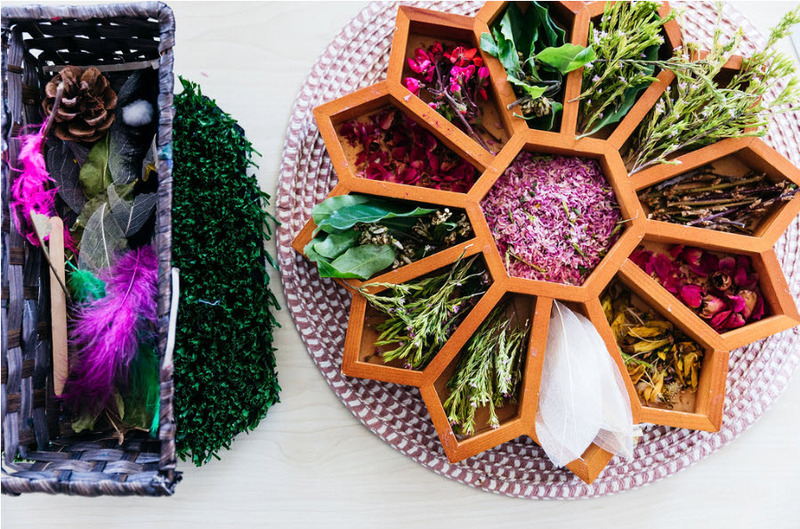 They create sensory experiences for children to explore and develop a love for nature with real natural elements. Even in our nurseries, there are everyday moments where we introduce children to sensory experiences that encourage a love for nature. What are some examples of sustainable practices? Some centres, like Richmond in Victoria, have a sustainability officer. Educator Miss Sagee coaches children and staff on the need to recycle and conserve. Everyone participates including the chef who reduces wastage by working out the amount of food we need for each meal. About eight months ago, Richmond also started another great initiative. It began with an incursion by Susanna Louie from The Littlest Leaf. 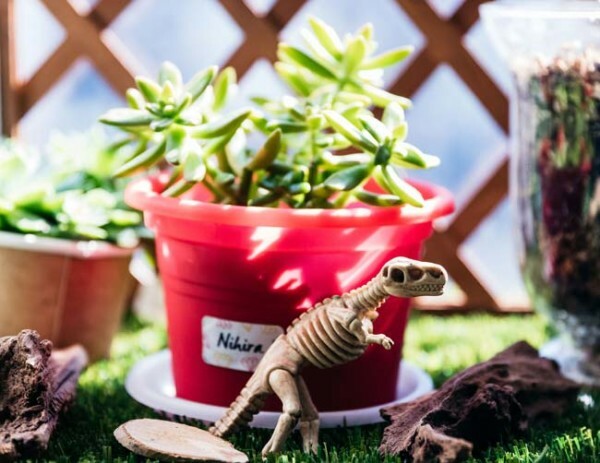 Susanna introduced the Kinder children to succulents in a play-based learning experience. They created their own miniature fairy gardens. They used recycled containers from home, but also learned about succulents and the mixed soil that helps them grow. The children love to move the potted plants around, and they’ve adapted them to be different play spaces too. So, the fairy garden has evolved into a dinosaur garden. 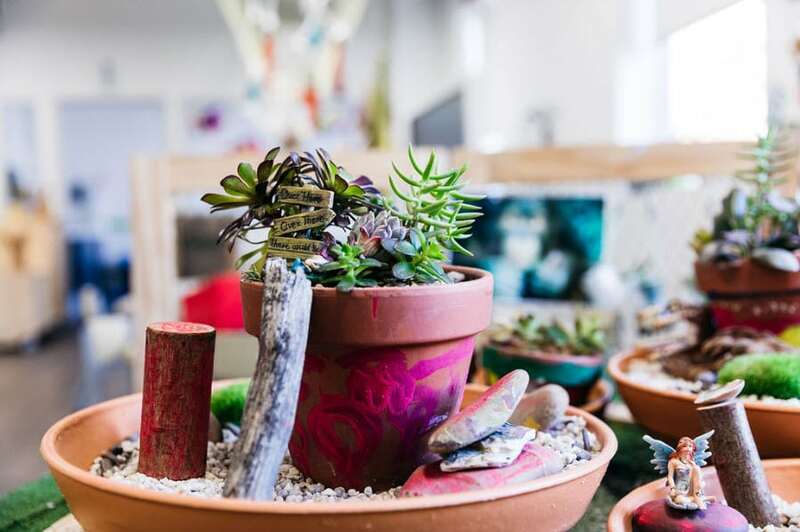 Richmond also now have two big succulent gardens in the communal space where all the centre’s children are encouraged to bond with nature and learn about propagation. 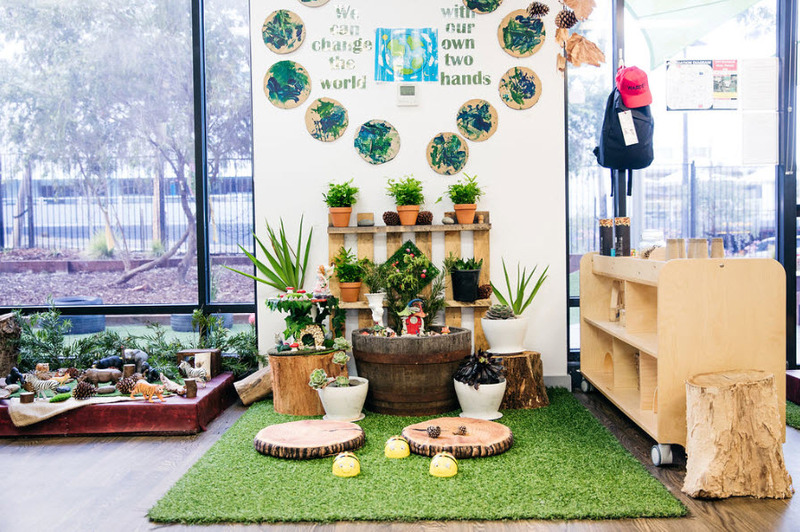 Centre Director Nicole Clements believes educating children on how to keep the environment safe and why we need to do it are important aspects of sustainable practices in childcare. Reducing waste by eliminating single-use items is one of the initiatives embraced by staff. How can we develop sustainable practices? Nicole is also working with Miss Sagee and Susanna to create a more sustainable future for the Richmond community. They’re working on a project to set up an area at the front of the centre for composting and a community garden. “There aren’t many green spaces or communal gardens in Richmond,” Nicole notes. By offering this space, the Richmond centre is thinking about their environmental impact on the community and how they can help improve the environment for future generations. While the idea is currently awaiting council approval, Nicole hopes it will encourage more people to come and share their knowledge and love for nature with the centre’s children. Other centres are also working towards a more sustainable future. 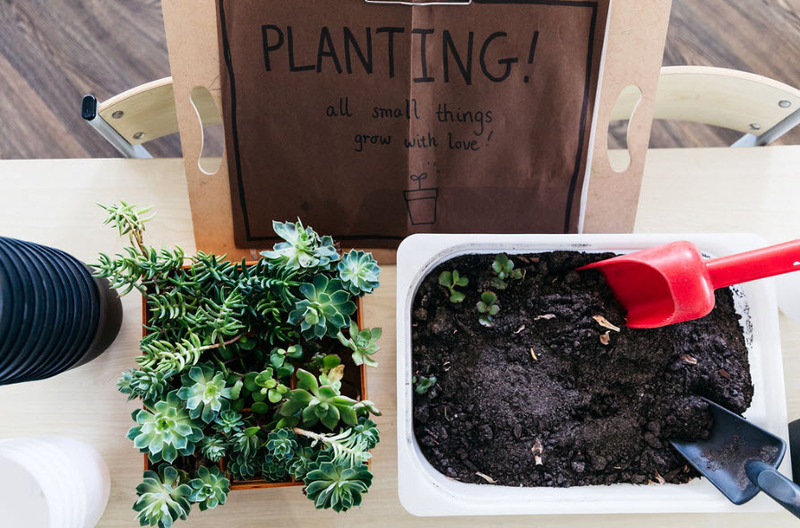 Forest Hill is implementing sustainability through nature-based art play, recycled toys donated by parents, using playdough seeds and other natural elements to create an art scene, and recycled bags. Though Petit ELJ has group goals to develop sustainable practices, we encourage our centres to work with their communities to deliver local programs. We want our children to develop a love for the environment and nature through play-based learning and active participation. By making choices that improve our environment our educators are role models for environmental sustainability. We can show our children how to be environmentally conscious, while also developing their understanding of why we need sustainable practices. We want to work with educators who want to make a real difference. People who want to help children nurture a lifelong love for learning, as well as a love for the environment and nature. Do you believe that children and educators share the journey of childhood as companions? If so, we’d love to hear from you! Learn more about a career with Petit ELJ.